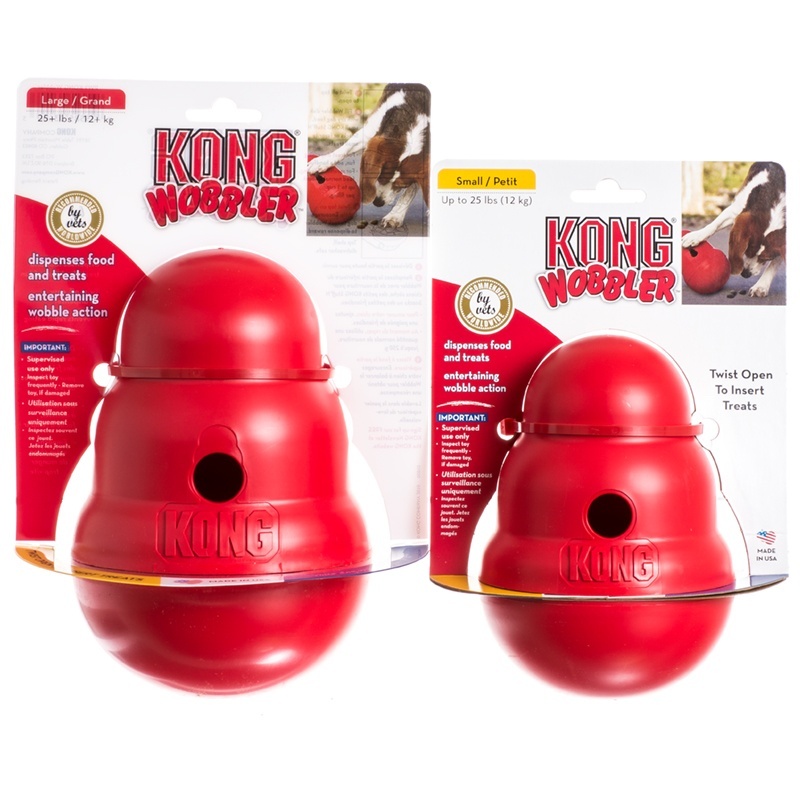 The Kong Wobbler is a treat dispensing toy and feeder that provides a new way to entertain and challenge your dog. The Wobbler sits upright until pushed with a dog's paw or nose, then wobbles, spins and rolls, dispensing treats through a hole near the top. Dogs quickly learn that motion causes treats to fall out, but the unpredictable movement keeps the toy challenging, even for seasoned Wobbler users. The Wobbler is a fabulous toy for playtime, providing challenge and physical activity the whole family will enjoy watching. It also presents an excellent alternative to the traditional food bowl, extending the joy of feeding time and preventing unhealthy gulping. The Wobbler is Made in the USA of durable, FDA food-approved, high-strength polymer. It unscrews for quick filling and easy clean-up, and is top-drawer dishwasher safe. 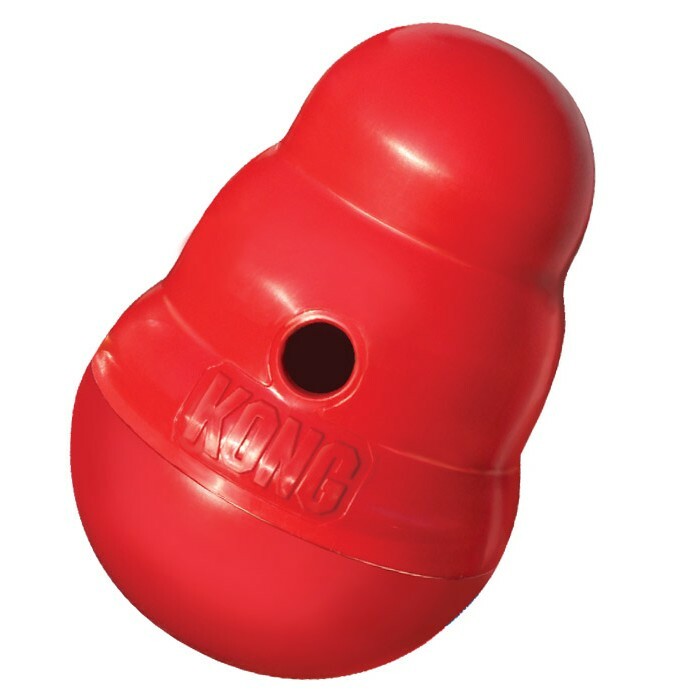 The Wobbler is suitable for all dogs weighing 12kg or more. 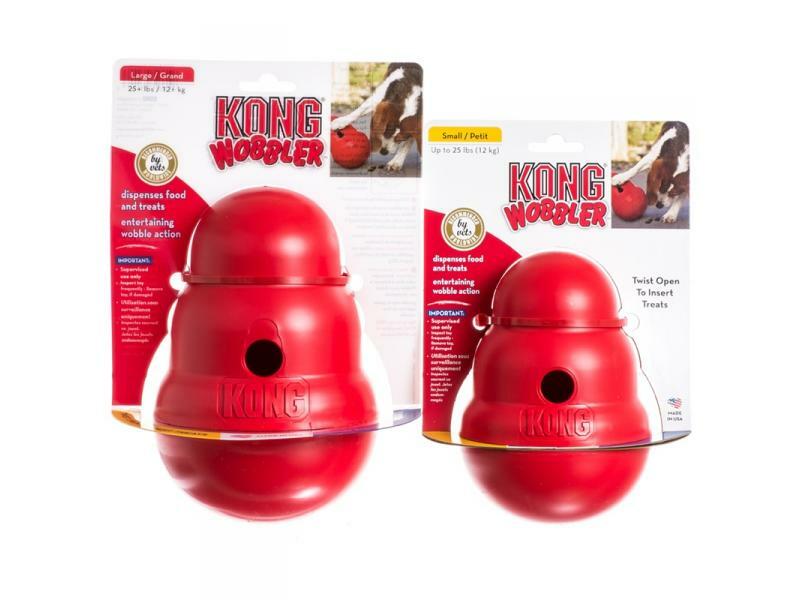 There are currently no questions for Kong Wobbler Dog Toy - be the first to ask one!